What grabs your attention more: a list full of ingredients like acacia gum, oligiosaccharide, and glutemate or a story about one company’s mission to bring the tangy sweetness of a blueberry and the warming power of a bowl of oatmeal to kitchen tables around the world? While both speak to Kashi’s company mission of making healthy food available to everyone, the second choice seems far more compelling. 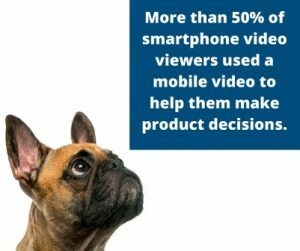 This makes sense, especially considering recent findings of a Nielsen study that show consumers want a more personal connection in the way they gather information. Numerous studies over the years have proven that our brains are far more engaged by storytelling than the cold, hard facts. 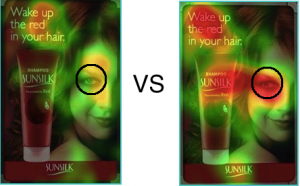 When reading straight data, only the language parts of our brains work to decode the meaning. But when we read a story, not only do the language parts of our brains light up, but any other part of the brain that we would use if we were actually experiencing what we’re reading about becomes activated as well. What this means is that it’s far easier for us to remember stories than the cold hard facts because our brains make little distinction between an experience we are reading about and one that is actually happening. In addition to this, our brains are insanely greedy for stories. We spend about a third of our lives daydreaming—our minds are constantly looking for distractions—and the only time we stop flitting from daydream to daydream is when we have a good story in front of us. Top brands like LinkedIn, Coca Cola, Etsy—the list goes on—harness this science to their advantage through content marketing that focuses on the story. While Americans consume more than 100,000 digital words every day according to this infographic from content marketing platform OneSpot, 92% of these consumers want to internalize those words in the form of a story. 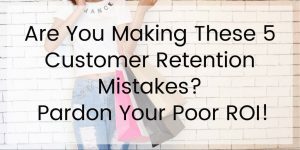 Are You Making These 5 Customer Retention Mistakes? Pardon Your Poor ROI! How Can Your Brand Use Instagram? How Can ‘Smart’ Marketers Be So Wrong About IoT And Chat Bots?